Dyson is a highly popular vacuum cleaner brand and is considered one of the best brands in pet hair cleaning product. The brand has been reputed to produce vacuum units in the higher price range. Apart from the price tag, Dyson is a brand also known for vacuums which perform very well. In this short review, we’ll have a look at the Dyson Ball Multi Floor Upright Vacuum Cleaner. 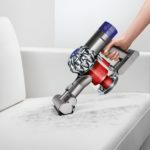 According to some of the reviews, the Ball Multi Floor does truly live up to the hype by Dyson to have the “most powerful suction. With a slimmer design coupled with improved suction technology, it provides versatile cleaning ability & reliable suction for your home. 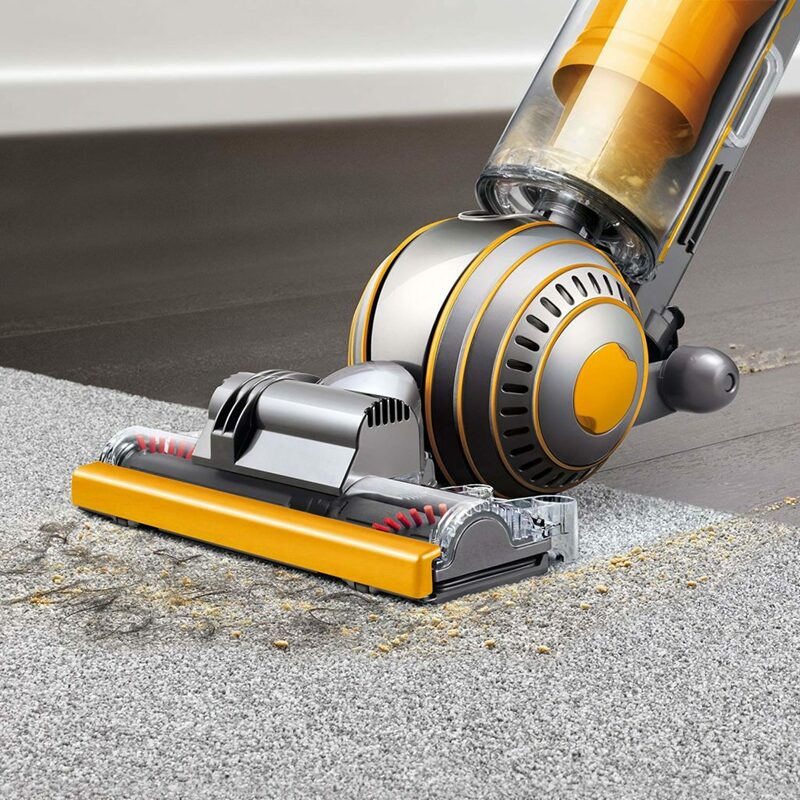 However, strong suction and the capacity to clean different floor types, though crucial, aren’t the only features the best vacuum cleaners should have. We have analyzed this Dyson model to assist you figure out whether it’s the right one for you. This is Dyson’s trademark vacuum technology. The Dyson Ball upright vacuum cleaner uses the most advanced Radial Root Cyclone technology. It boosts suction power, providing the strongest suction of any vacuum. This particular technology helps capture more dirt and microscopic dust. It also makes the vacuum cleaner not to lose suction power while cleaning. 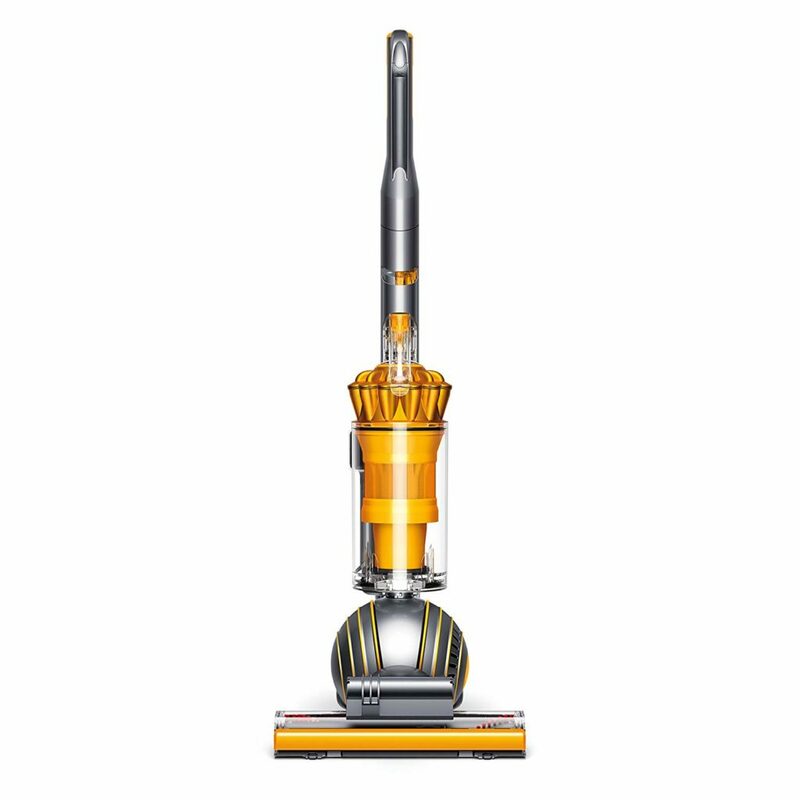 The Ball Multi Floor upright vacuum features a self adjusting head as well as a motorized brush bar to aid pick up deep-set particles. The cleaner head self-adjusts from carpeted to hard floors, which offers you more suction power, and is essentially a multi-floor vacuum. This makes it more efficient for cleaning in both bare and carpeted floors. The brush and stair tools help vacuum dust and stairs. For cleaning stairs as well as high-reach places, you can also use its quick draw telescope-reach wand. Besides the above features, this machine sits and rides on a ball. 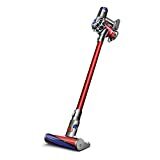 At 17 lbs, this upright vacuum cleaner is slightly-heavy for an upright but the ball technology has been designed to make steering an easy task, even in tight spots. It makes it easy to twist and turn around furniture and obstacles. The Dyson ball maneuverability helps you steer easily into difficult areas with only a turn of the wrist. The ball technology is exclusive only to Dyson vacuums. With whole-machine HEPA filtration, there is no other vacuum cleaner which helps trap microscopic allergens and expel cleaner air. Dyson is one of just 3 manufacturers with vacuum cleaners approved by the Asthma and Allergy-Foundation of America as certified asthma-& allergy-friendly. 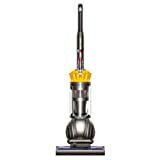 Besides a lifetime washable HEPA filter, the Dyson Ball Multi-Floor upright vacuum also features the secondary pleaded filter contained inside the ball. With clear dust-bin and easy empty capability, you can just push the button so as to release the dirt. Finally, this Dyson version is bagless, and features a 0.31 hygienic-gallons dust cup. This model is excellent for pet hair pick up with 240 airwatts of suction. Standard, just as with any-other Dyson upright vac, it also comes with a mattress & combo tool. 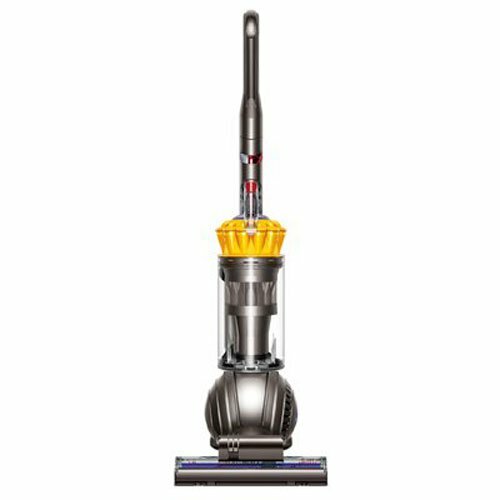 Does the Dyson Ball Multi Floor Upright vacuum come with accessories? The Multi Floor Vacuum cleaner box also has a stair tool as well as combination dust/crevice tool inside. How can I go about proper product care? The Dyson Multi Floor comes with lifetime washable filters. All one needs to do is wash them under-running water and air-dry for around 24 hours. This vacuum cleaner has a 5 year limited-warranty from Dyson. If your home has mainly hardwood floors, carpet that isn’t too thick or both, the Dyson Ball Multi Floor Upright Vacuum Cleaner is a solid choice. With its powerful cleaning abilities as well as adeptness at seamlessly transitioning among different surfaces, the Dyson Ball Multi-Floor might be the right choice for you. Neat freaks and allergy-sufferers alike will appreciate the upright vacuum’s high powered cleaning ability. The vacuum might not be the ideal choice for homes having plush carpets, however. Overall, the machine is Dyson’s least costly full-size upright vacuum cleaner with Dyson Ball™ technology. Buy online at retailers such as Amazon.